Stir the peanut butter, soy sauce, lemon juice, cilantro, sugar and ginger in a small bowl. Add the chicken and 2 tablespoons green onions and toss to coat. 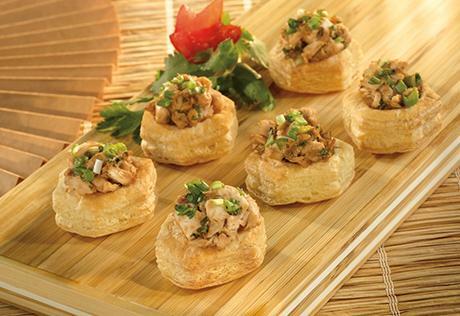 Spoon the chicken mixture into the pastry cups. Sprinkle with the remaining green onions.